Accepting President Ashraf Ghani’s proposal for a ceasefire will risk triggering a cascade of defections among the Taliban’s rank-and-file. In February 2018, President Ashraf Ghani offered the Afghan Taliban movement recognition as a political party and invited it to participate in a process of constitutional review. This overture was followed by a government announcement of a unilateral ceasefire from 12-20 June and a brief Taliban truce, coinciding with the Eid al-Fitr religious festival. In the short-to-medium term, a development of this kind could have major informational and reputational cascade effects. The theory of reputational cascades explains how, for the sake of reputation, individuals may adopt the opinion of others (“The Emperor’s New Clothes”). The theory of informational cascades explains how views can become widespread as people without independent information sources of their own adopt views which others appear to have accepted. Cascades most obviously come into play when large numbers of people, including elites, position themselves politically in response to how they see other people acting or thinking. Some of the most dramatic cascades can arise from a desire on the part of key players not to be on the losing side in a dangerous situation. Thomas Hobbes in Leviathan remarked that “Reputation of power is power” and many Afghans have an intrinsic appreciation of this insight. Informational and reputational considerations are as relevant to contemporary Afghanistan as they have been in the past. Mass psychology is central to how events in Afghanistan will pan out. 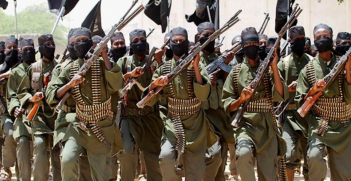 Cascades are not inevitable, but if the central government is toppled by the Taliban or if the Taliban movement unravels, it will most likely be as the result of a cascade. An obvious question is therefore whether recent events impact on the prospects of cascades occurring. Tired of war, many citizens across Afghanistan undoubtedly embraced the ceasefire and rejoiced. Reporters noted how ordinary people greeted armed Taliban fighters with flowers and how Afghan security forces performed prayers and shared meals with them. It is nevertheless unclear what impact the short-lived respite from war may have had on President Ghani’s leadership. 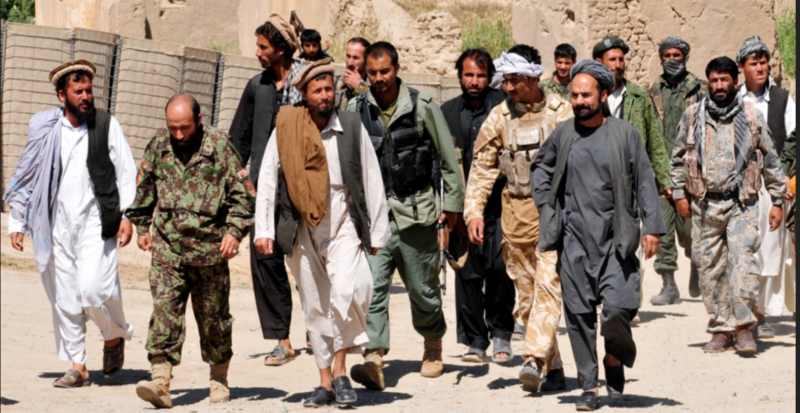 The ceasefire may have shored up President Ghani’s legitimacy, at least in the very short-run. It is equally plausible, however, that people might have had their expectations raised by a few days of respite only to be further disappointed and frustrated by the return to violence in the period since 10 August with the occupation of the strategic city of Ghazni by the Taliban. This period saw the Taliban at one point controlling virtually every checkpoint in the city, with many civilians killed as the Afghan security forces struggled to resume control. In light of this debacle, Afghans could well blame the government for creating false hopes. 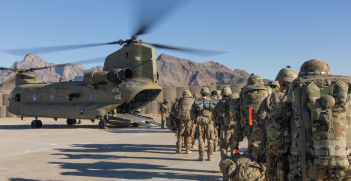 Here, it is important to note that a failure to respond effectively to Taliban attacks, especially if mounted simultaneously against a number of key cities, could cause grave reputational harm to the Afghan National Army (ANA), and by extension to President Ghani. A cascade could result. After initially reciprocating the gesture, the Taliban did not accept President Ghani’s call to extend the June ceasefire. Why? Ultimately, the Taliban had more to lose through the ceasefire. Ironically, it was not that the Taliban came to realise that their violent campaign was not winning hearts and minds. Rather, it appears now that the Taliban had not fully appreciated the implications of the ceasefire. For the Taliban, the halting of kinetic activities risked informational and reputational harm. Social media and news reports showed civilians, Afghan National Police (ANP) officers, ANA troops and governors all fraternising with Taliban fighters and commanders during the Eid celebrations. When interviewed by journalists, several purported Taliban fighters claimed to be tired of fighting their brethren and longing to return to their homes. This accords with a recent USIP study reporting Taliban foot soldiers and commanders expressing reduced confidence in an imminent victory. The ceasefire ran the risk of triggering a cascade of defections among the Taliban’s rank-and-file. Having had a taste of peace, fighters could leave in droves. It was most likely because of this fear that the Taliban did not extend the ceasefire and instructed that all Taliban fighters who took ‘selfies’ with ANA, ANP and district governors were to be strictly disciplined. President Ghani has now proposed a ceasefire of three months, which will test the Taliban once more. Assessments that the earlier short-lived ceasefire proved the ability of Taliban leaders rigorously to control the rank-and-file probably underestimate the impact of the Eid holiday, one of the moments in Afghanistan when fighters are least disposed to be involved in fighting anyway. Rather, the Taliban’s reaction demonstrates that it fears the potential reputational costs and cascade effect of defections which would severely erode the Taliban’s command-and-control of rank-and-file. With every ceasefire offer, the Taliban will become increasingly wary of the prospect of fighters defecting. The situation in Afghanistan in 2018 is very different from that which generated the famous “Christmas Truce” between soldiers of highly-institutionalised militaries on the Western Front in December 1914, which did not lead to a cascade. The Afghan Government and its partners will need to factor this into their strategic planning. Srinjoy Bose is Lecturer in International Relations at the School of Social Sciences, University of New South Wales, and Visiting Fellow at the Asia-Pacific College of Diplomacy, The Australian National University. William Maley AM is Professor of Diplomacy at the Asia-Pacific College of Diplomacy, The Australian National University. Nishank Motwani is Visiting Fellow at the Asia-Pacific College of Diplomacy, The Australian National University. 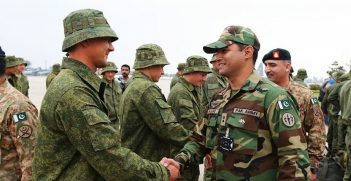 Amid talk of China’s increased presence in Pakistan and Afghanistan, little attention has been given to Russia’s steady return to the region. For better or for worse, Russia has definitely returned to the neighbourhood.